Placing customers on hold can spell disaster if they're holding too long. But they're less likely to hang up if you keep them informed of your products/services while they hold. Using professional voiceover talent, we'll record your script and add royalty-free music to keep your customers entertained, informed, and - more importantly - on the line. Recording prompts for Interactive Voice Response (IVR) is one of our specialties. Let us help you customize your automated attendant to give your company the professional edge you're looking for. We can provide files in any format your system requires and with a very quick turn-around. * Music beds are optional. See 'extras' pricing below. 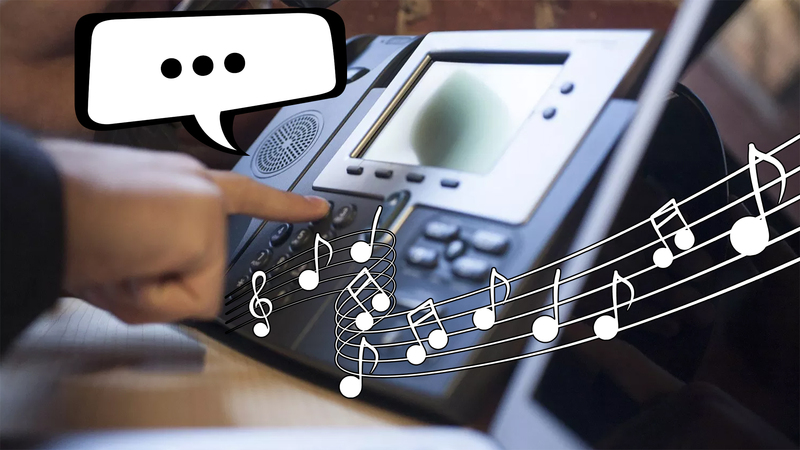 You want the right music for your messages-on-hold to match your business style. These are just a few that are available. If you don't find the right music for you, just let us know. There's a vast library available to us and we want your production to sound just right. Would you like us to proofread your script for you?